2010 – 2012. Analysis, design and implementation of RefereeChannel, web software based on PHP (CodeIgniter framework) and MySQL. 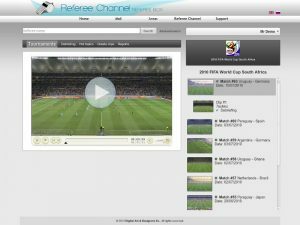 RefereeChannel is a video streaming and cataloguin service of game situations occured during competition matches. 2011. 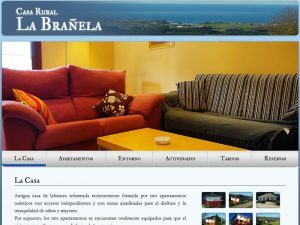 Development of the web site of House La Brañela, located in Tapia de Casariego, Asturias. The site was developed between September and November 2011. I was in charge of development and styles as well as the design. 2008. 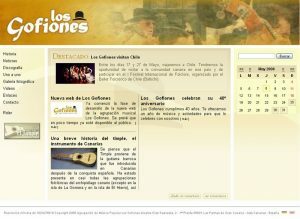 Development of the web site of Los Gofiones, a canary folk music group. The site was developed between February and May 2008, I was in charge of development and styles, and Yeray Rodriguez was the designer. 2008. I was part of the development group of IESCampus, an educational web platform based on video streaming and aimed at secondary education. I was in charge of the development of the application, both in server-side (PHP, MySQL) as the user interface. 2007. 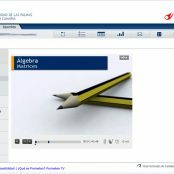 I was part of the development group of Prometeo, an educational web platform based on video streaming and aimed at universitary education in the University of Las Palmas de Gran Canaria. I was in charge of the development of the application, both in server-side (PHP, MySQL) as the user interface. Ready to help you in your new project!